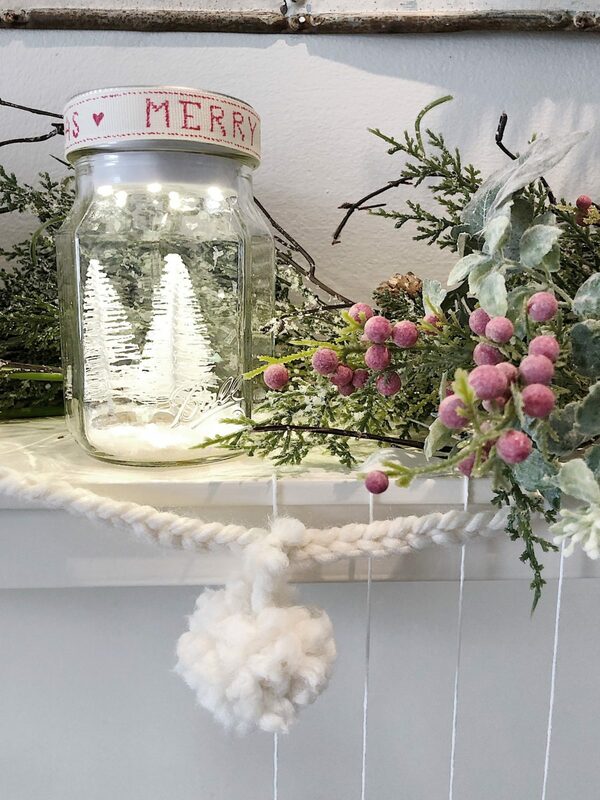 I made these adorable “snow” ball jars and would you believe I found special lids at JOANN that have battery operated LED lights in them. They replace the existing lids with an insert with an LED light. They fit in both wide mouth and Regular Mouth Jars. I am obsessed with these! 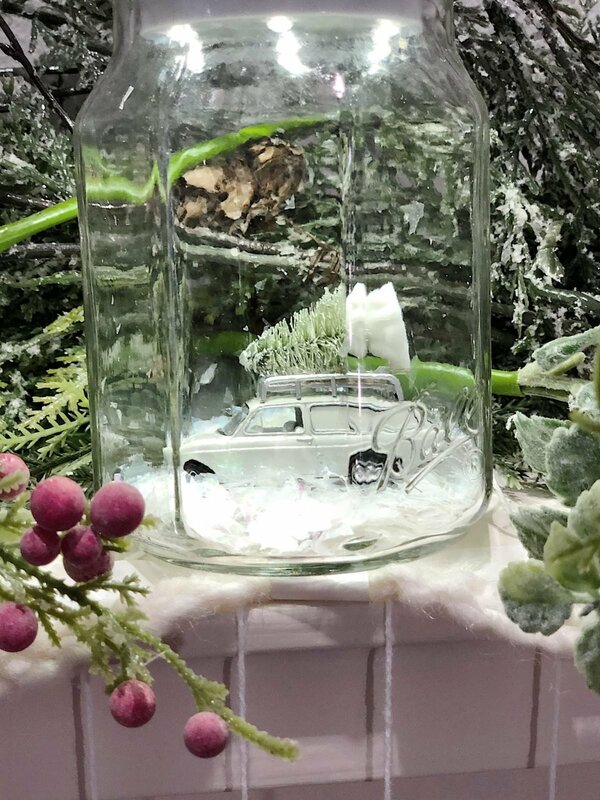 I found the lids, ball jars, ribbon, trees, and snow at JOANN. They are so easy to make and you can find the tutorial here. Here are the supplies you need. Don’t they look great all lit up? (And the special lids have a button on top that you just touch to turn them on!) 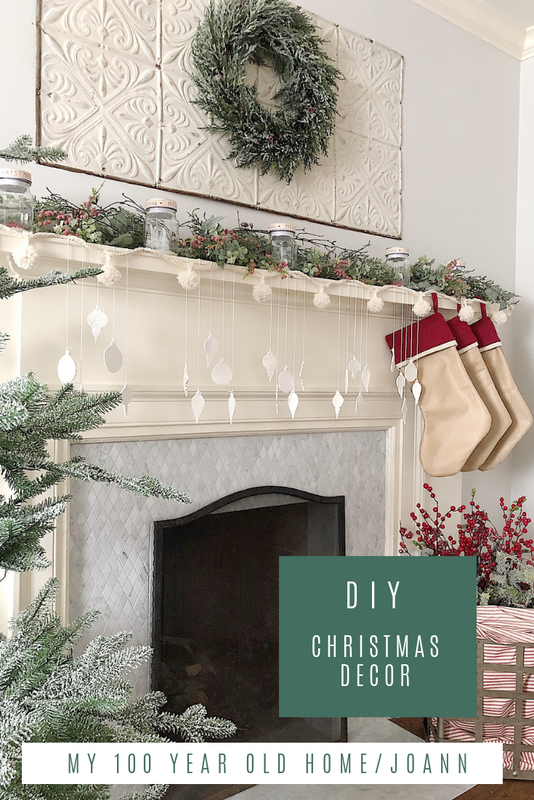 I think this is my favorite DIY Christmas decoration! 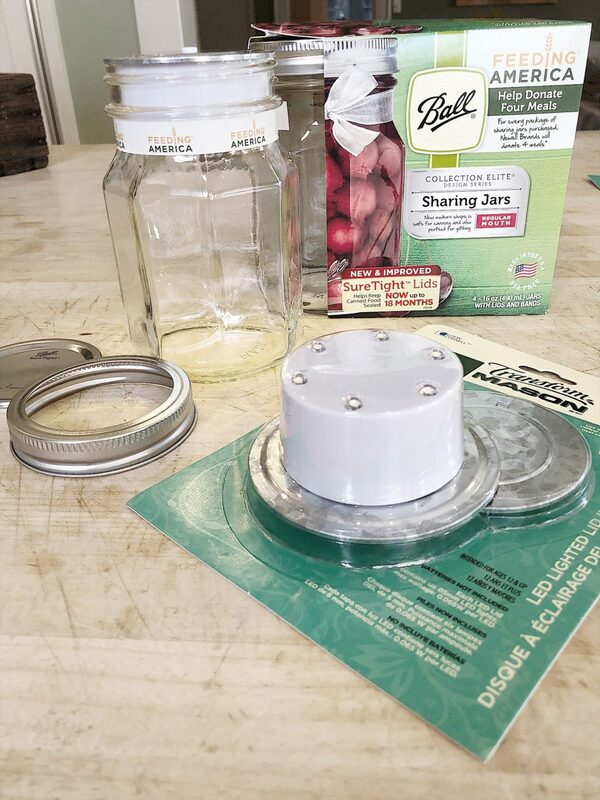 These are the jars and special transform mason lids that I used. 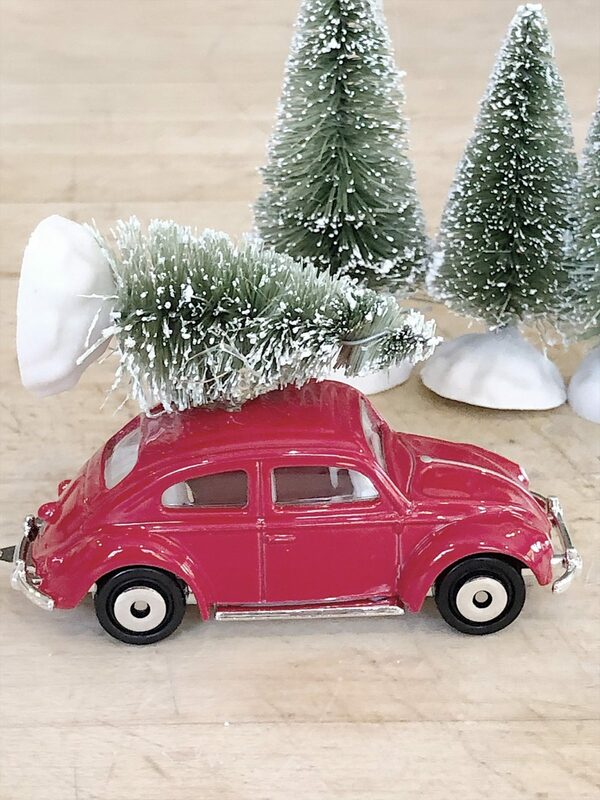 You can also find these small metal cars at a toy store. 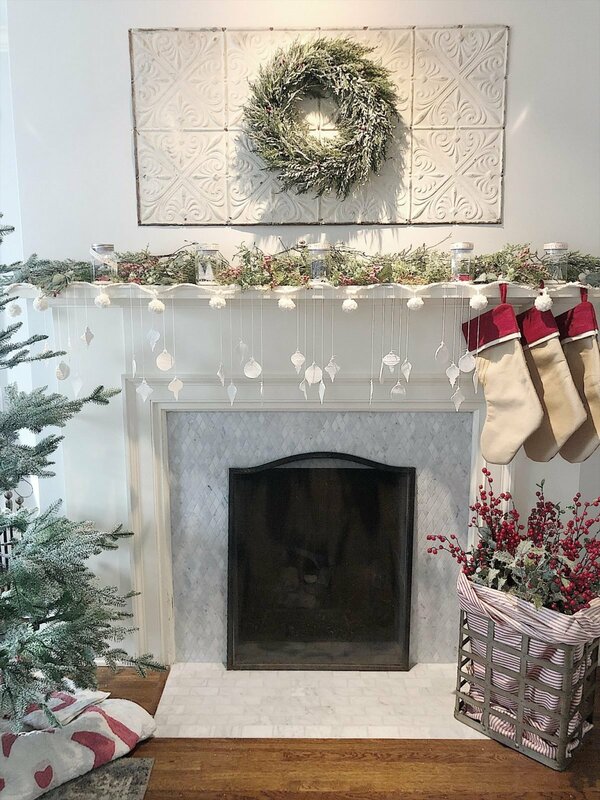 I love the farmhouse style greenery that I found to decorate this mantle. 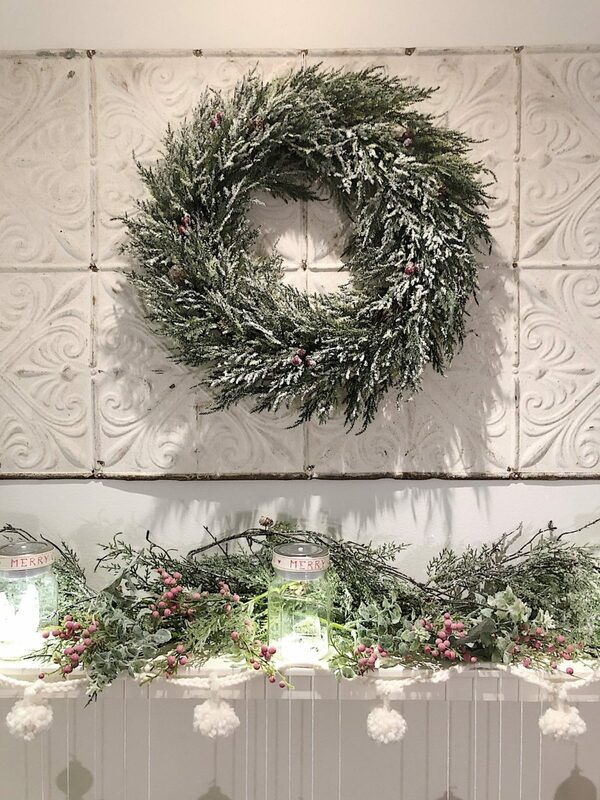 This wreath is so natural and I love the shade of green. I added garlands and berry bouquets on the mantle. I used four garlands and two packs of the berry bouquets. 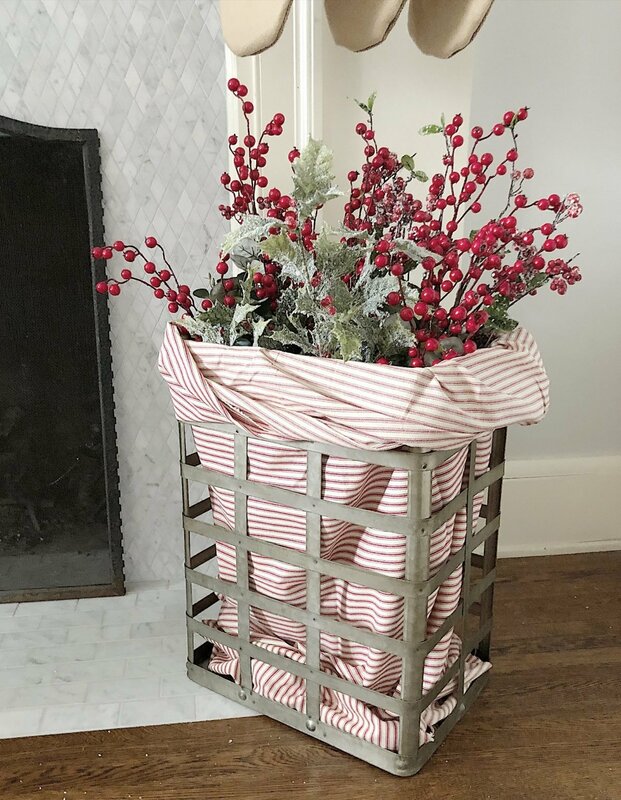 I also loosely lined one of my metal tall containers with red ticking fabric and then filled it with more Christmas greens. 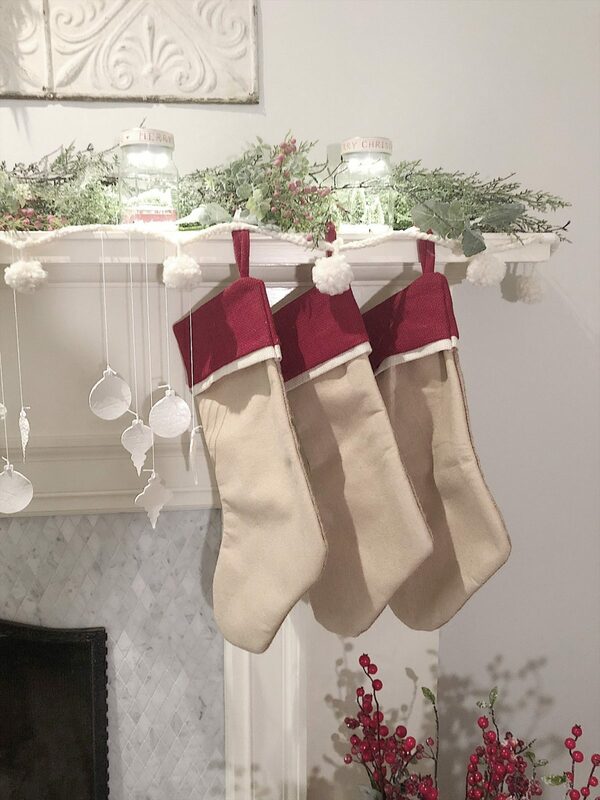 Next, I added three stockings for the boys. This was a hard decision as they had so many options to choose from! I love the cotton stockings I selected. 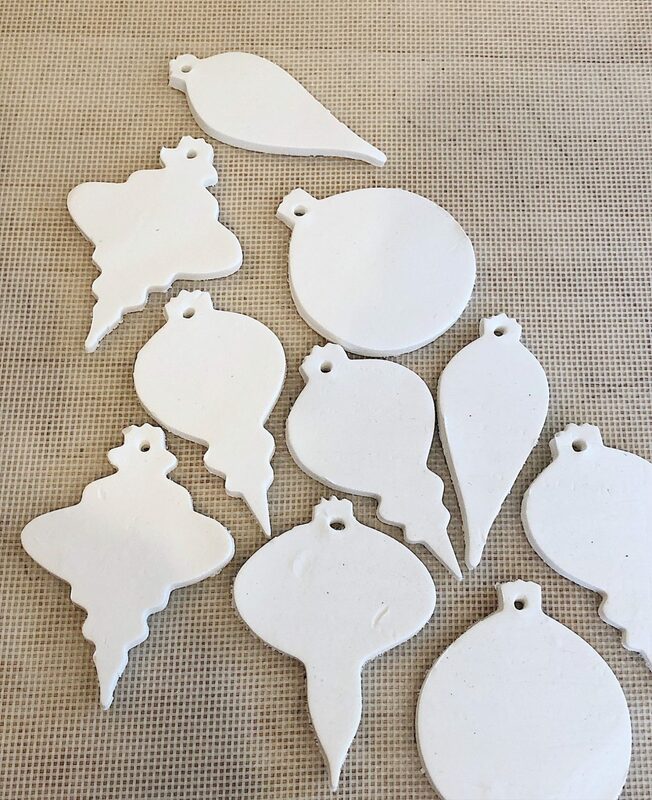 Next, I made air dry clay ornaments. They are pretty simple to make. 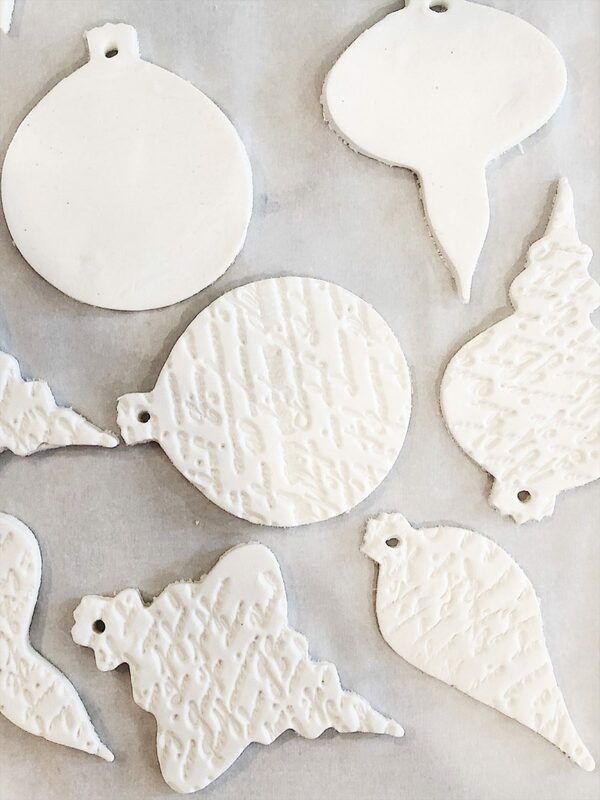 You roll out the clay and cut out the shapes with cookie cutters. Then I used rubber stamps and a vintage handkerchief to make the design in the clay. I let them dry overnight and then painted them with glitter paint. 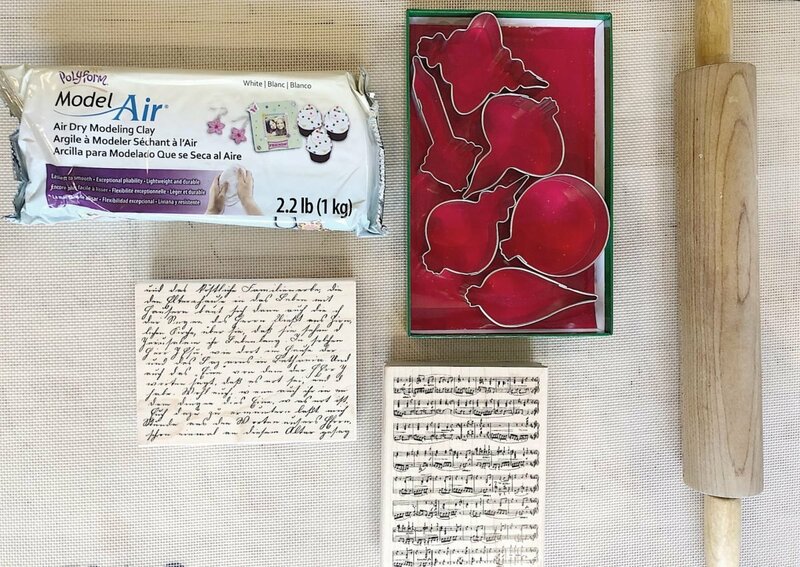 Here you can see I used Polyform Model Air Clay, an old set of cookie cutters and some rubber stamps. 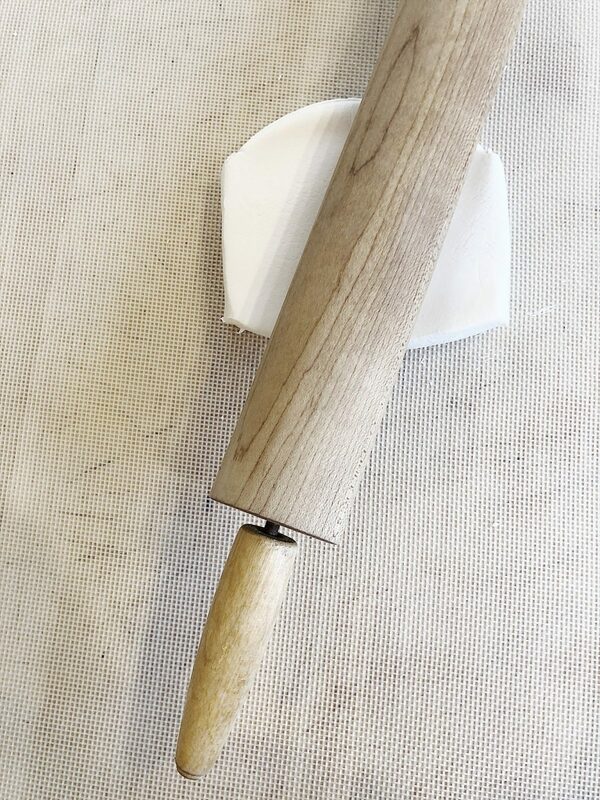 I used the end of a wooden skewer to put the whole in the end. And then I let them dry flat overnight. 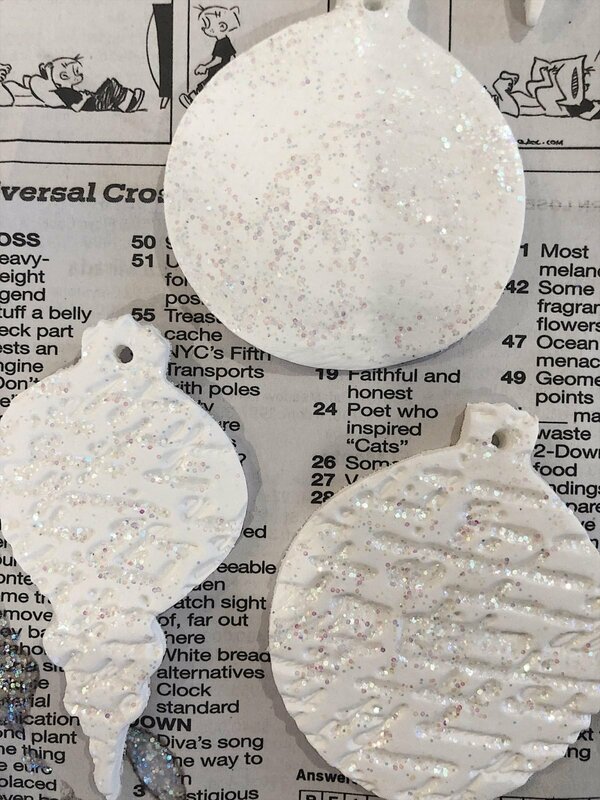 To add some sparkle, I painted them with Deco Art Craft Twinkles Glitter Paint. 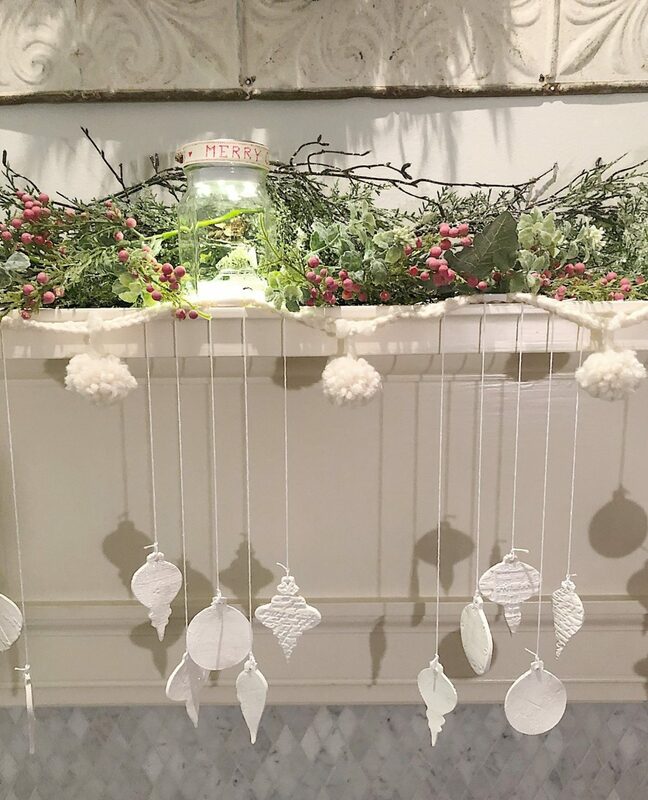 Lastly, I made a pom pom garland to add to the mantle. The DIY for this will be on my JOANN post in a week or so, just so I don’t overwhelm you with too many projects. Haha. 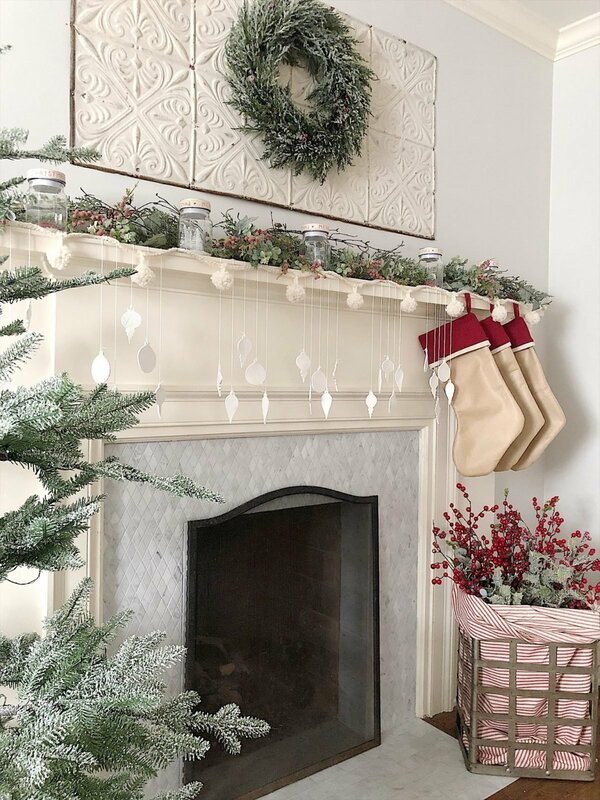 I love how the garland finishes off the mantle. 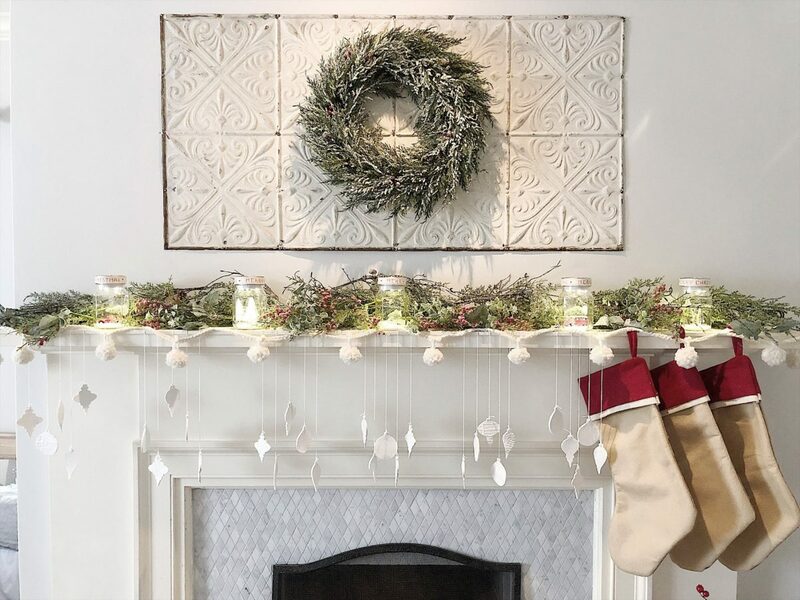 Head on over to your local JOANN where you can find all of this (and more) decor for Christmas. 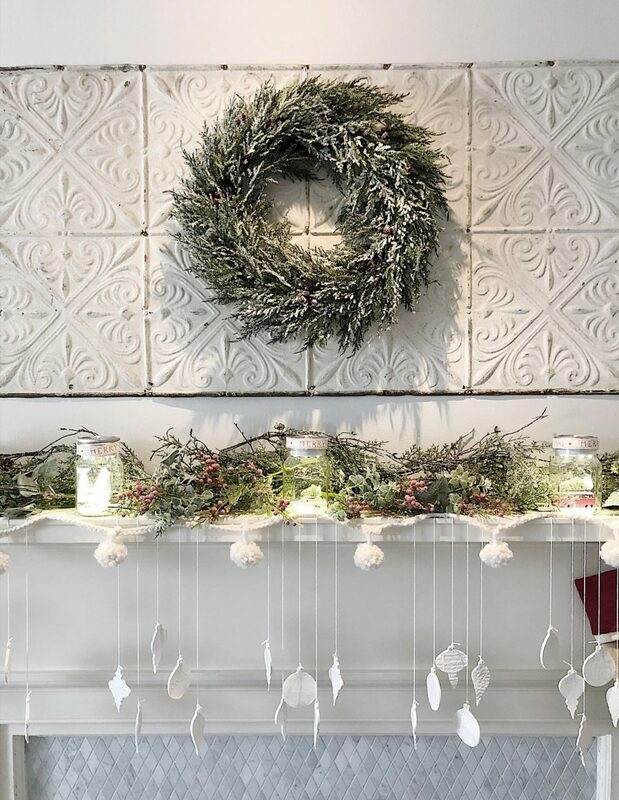 Pin the image below to your holiday decor and DIY Christmas Decorations boards on Pinterest (just click the Pin button in the top left corner). You can also follow along with me on Pinterest! OMG!! 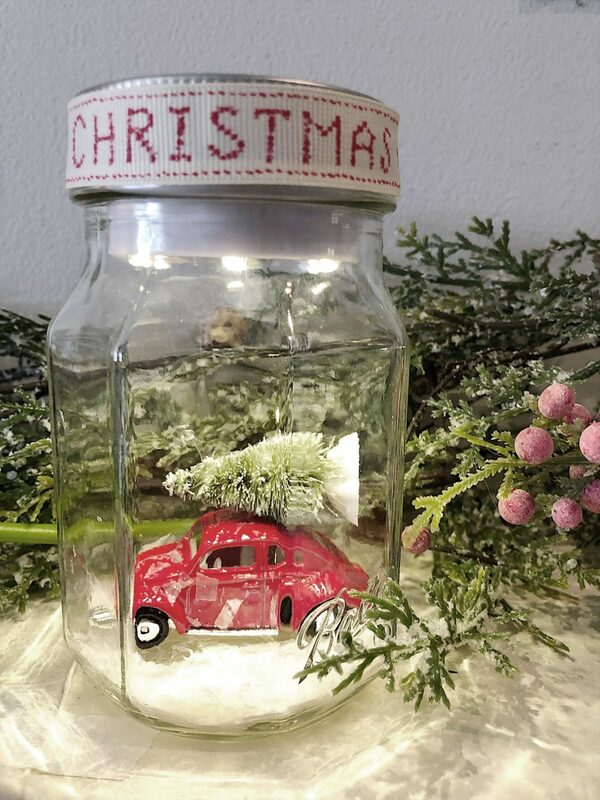 I love the ornaments DIY!!! 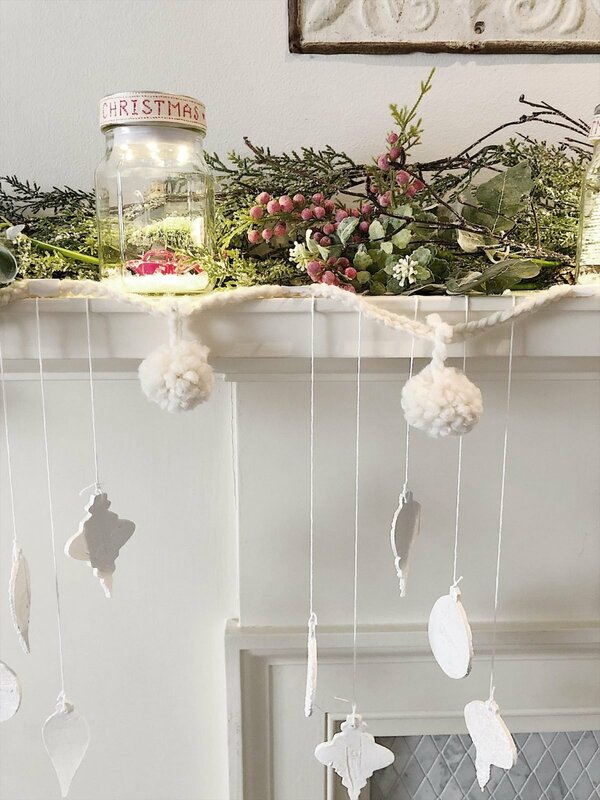 I will have to try it…looking forward to your pom pom garland DIY. Your home looks stunning as always! Your decorations are just stunning! I love the pictures – everything looks like a wonderland.